This sweet and slightly tart Lemon Berry Smoothie is a frozen treat that will refresh your taste buds and keep you cool. Smoothies are bar far one of my favorite morning treats during the summer. Living in the south, the temperature can be as high as 85 degrees by seven a.m. meaning it’s going to be a very hot day. One of the way I make sure I cool my body temperature is by making icy cold smoothies with my breakfast. 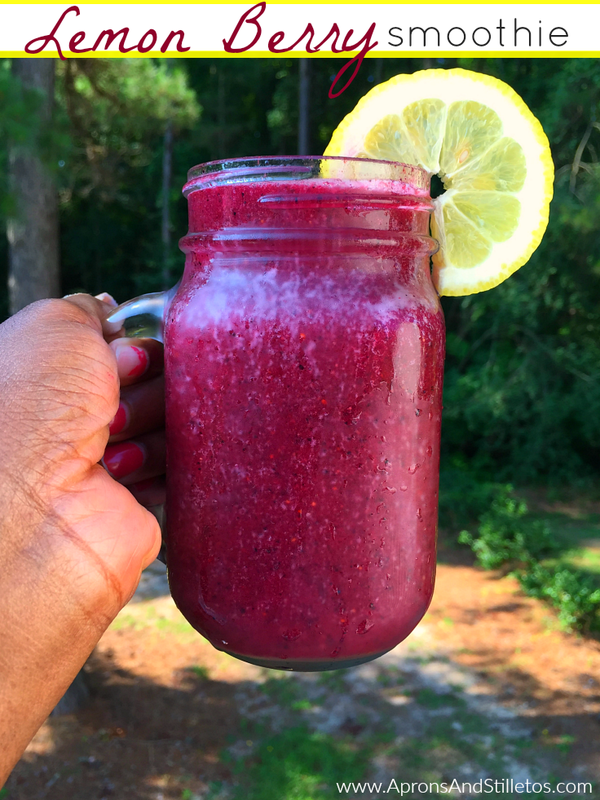 I usually use whatever I have on hand and today the lead to this sweet and tart Lemon Berry Smoothie. The thing I love about smoothies is they are fast and easy to make. The other is their are so many flavor combinations that it’s hard to get tired of them. They can be made ice-creamy by using banana and protein or icy by using frozen fruit and juice. My Lemon Berry Smoothie is more on the sweet icy side but I do have creamy smoothie recipes too. An easy to make, sweet and slightly tart frozen treat that will refresh your taste buds. 1. Combine all ingredients in a blender, and mix well until blended. 2. Garnish with a lemon slice. Serve immediately. For my recipe, I use I use Simply Lemonade® over other lemonades because of the homemade taste and all-natural ingredients. 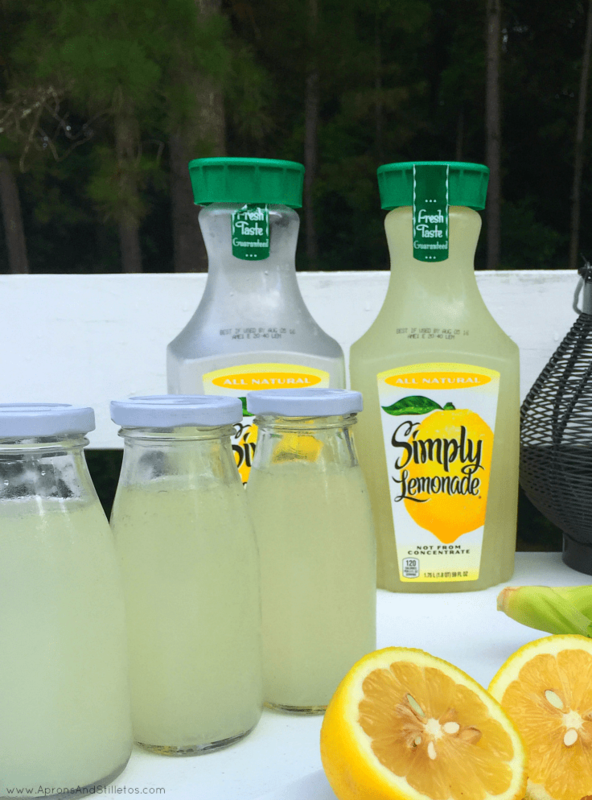 Simply Lemonade® has no artificial colors or flavors….just lemon juice, water, sugar and natural flavors. When I don’t have any, I make my own using all natural lemon juice and sugar. I also use lemonade in my Pineapple and Sweet Pepper Salsa recipe. This salsa is loaded with flavor and the perfect topping for tacos! Go here to save it to your Pinterest recipe board for later. Join my exclusive email community and get my updates via email. Not only do you get my post in your inbox, I send out free printables, messages and videos to my web fam.